How to Fix OneNote 0xE00015E0 Error Code on Windows 10? Home »	Fix » How to Fix OneNote 0xE00015E0 Error Code on Windows 10? Issue: How to Fix OneNote 0xE00015E0 Error Code on Windows 10? Could you please explain me why each time when I try to open OneNote error 0xE00015E0 shows up? I use ASUS PC, which runs Windows 10. Need some help, please! How to Fix 0xE00015E0 Error Code on Windows 10? Thousands of people have already searched for an answer how to fix OneNote error 0xE00015E0. We hope that the fixes that we are going to provide will be useful and you won’t have to look for another. However, before we begin listing the methods on how to fix 0xE00015E0 error Code, we would like to answer the question why does anyone need OneNote? 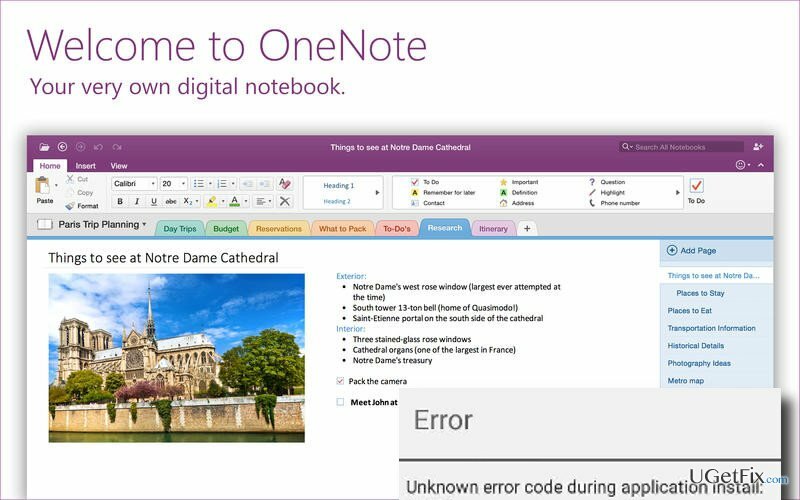 OneNote is a Microsoft application that functions as a notebook. It allows organizing upcoming events, meeting notes, must have to do lists, and so on. Besides, it allows not only typing, but also writing and drawing. OneNote supports PCs, Macs, and mobile devices, which is why it has millions of users worldwide. Many people have praised this tool for simplicity, user friendly interface, multiple functions, advanced settings, and other features. Unfortunately, but Windows 10 users have started complaining about Error Code 0xE00015E0 that shows up exceptionally when trying to open OneNote application. Our team has started initiating a research related to this issue and found out that it can easily be fixed. Disable OneNote via Task Manager. Click Ctrl + Alt + Delete, locate OneNote in the opened list, click on it and select End Task. Here you will be asked to verify your Account link. Click on it. Make sure that you enter your Microsoft account password correctly. Then, reopen OneNote and 0xE00015E0 error should be gone. When the list of programs opens, find OneNote and click on it. Wait until the testing finishes. You will be asked if you agree to make the changes. Click yes to proceed. Finally, try to reinstall OneNote application or sign in as an Administrator. If any of the aforementioned methods doesn’t help, try to fix 0xE00015E0 error code automatically using RegCure Pro, SpeedyPC Pro or Reimage. Kaip pašalinti OneNote 0xE00015E0 klaidą Windows 10 sistemoje?